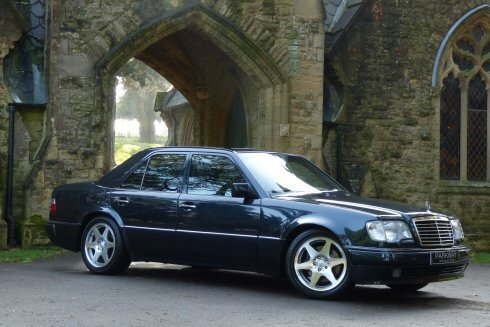 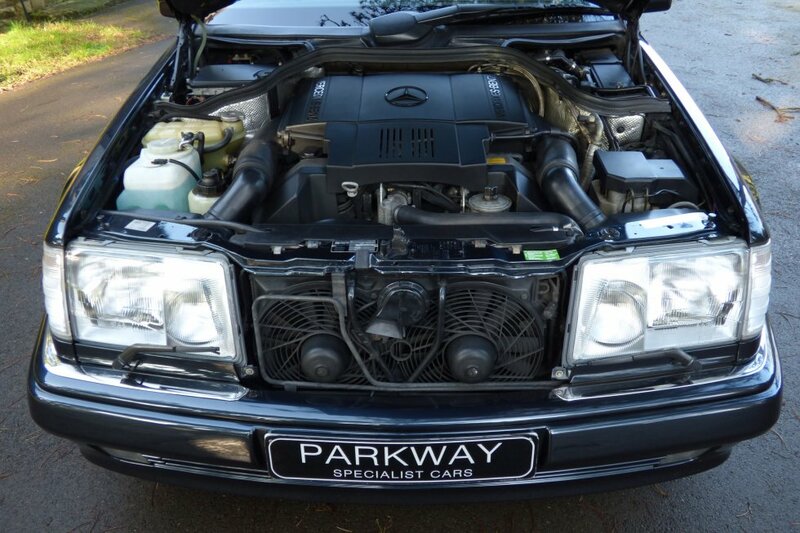 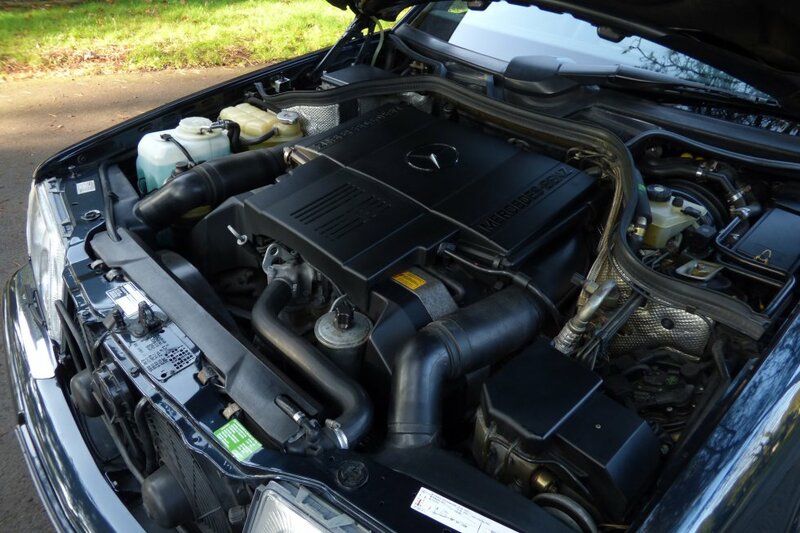 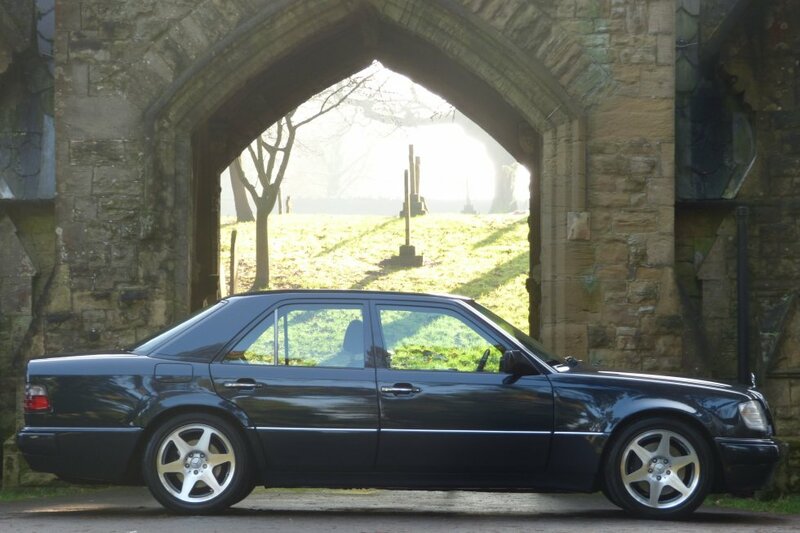 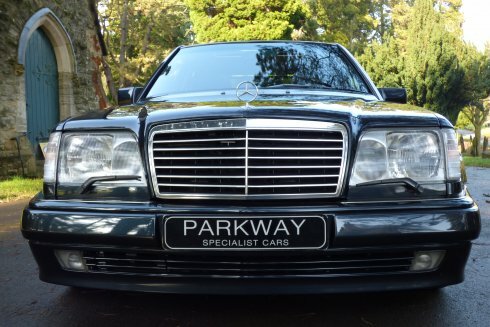 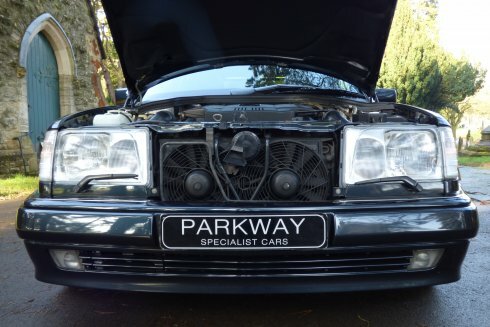 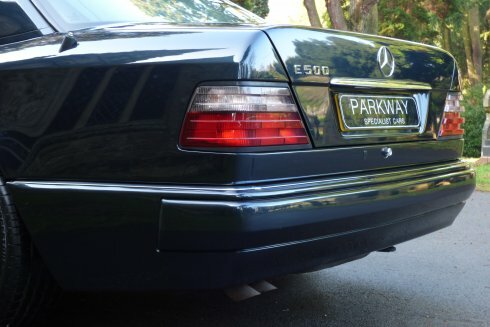 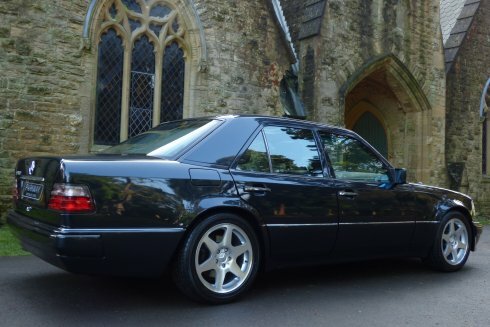 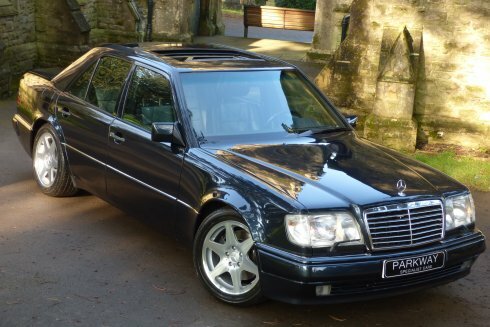 It Is Hard To Imagine A Better Combination Of Talent Assembled To Build A Super Sedan Than When Mercedes-Benz And Porsche Signed A Deal To Create The V8 Powered E500 In 1990. 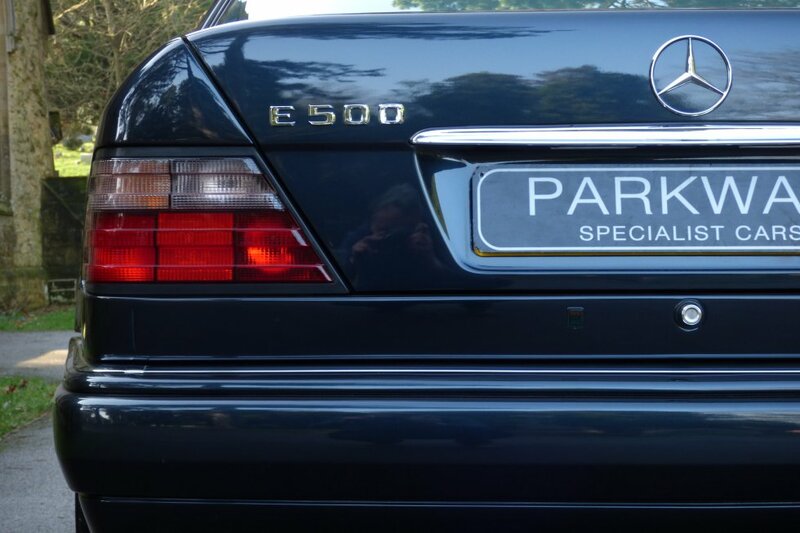 Manufacturing The E500 Involved Shuttling The Cars Back And Forth Between Mercedes And Porsche Factories In The Greater Stuttgart Area. 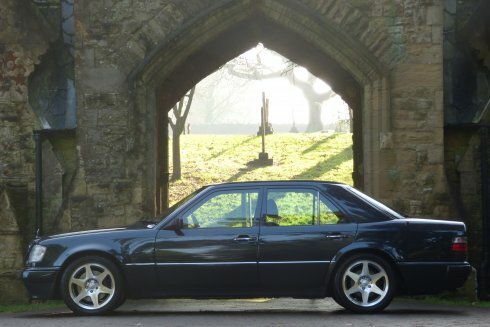 Stampings From Mercedes-Benz, Were Then Sent To Porsche For Assembly, Where The Basic 300E Chassis Was Strengthened And Modified To Accept The Massive V8 Drive Line. 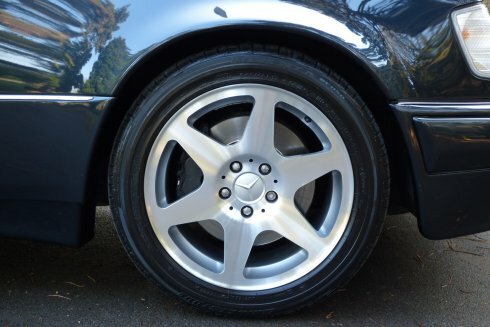 Further Changes Were The Fitment Of Flared Fenders To Accommodate A Wider Track And Wider Tires. Unfinished Bodies In White Were Then Returned To Mercedes-Benz For Painting And Final Trimming, After Which The Car Was Returned To Porsche For Drive Line Installation And Final Assembly Before Delivery Back To Mercedes Benz For The Final Testing, All Of Which Was An Expensive Chain.  The Paperwork And Past History File Is Complete And Extensive From Day One, With Every Element Available To Share On Email Format. Many Cars Did Go To Either The US Or Japan, But This Is A Rare German Supplied Vehicle, Which Will Make This A Very Attractive Investment Opportunity For The Next Collector/Owner. 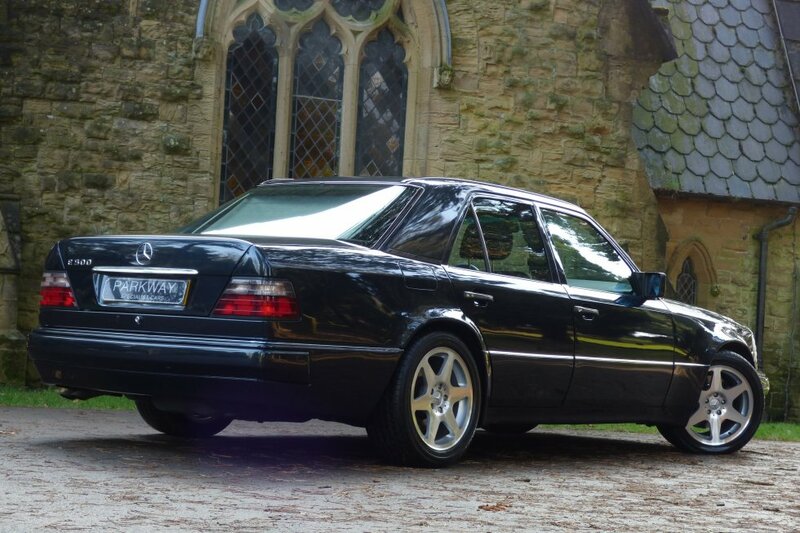 Described As The Wolf In Sheep's Clothing, This Is The Ultimate Collaboration From Two German Motoring Giants. 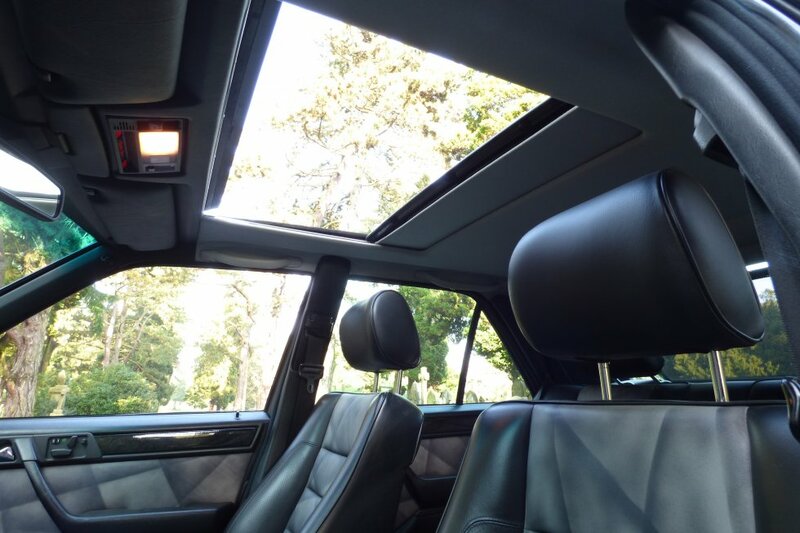 The Interior Tries To Offer A Form Of Sensibility For About Thirty Seconds And Then Goes Back To Mirror Image The Extravagant Exterior, To Which Has Been Done So Very Well. 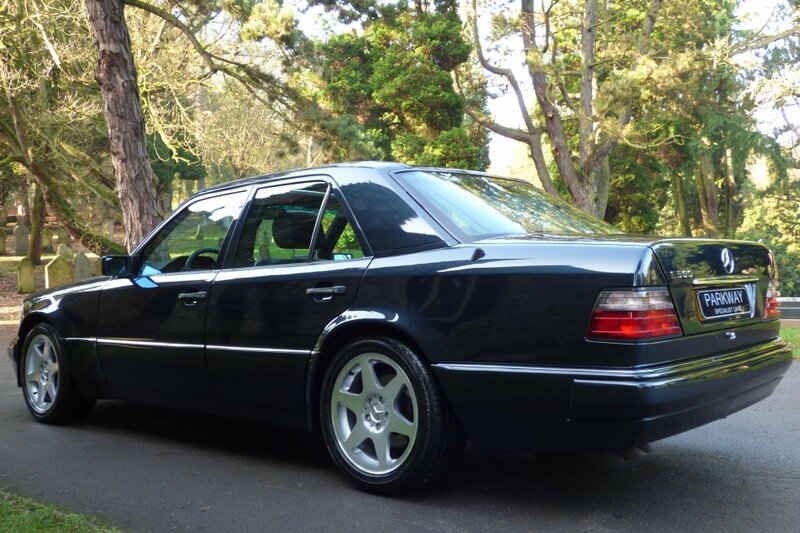 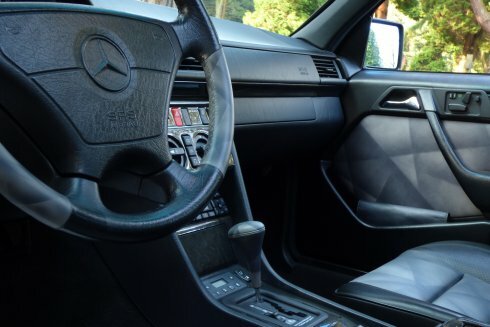 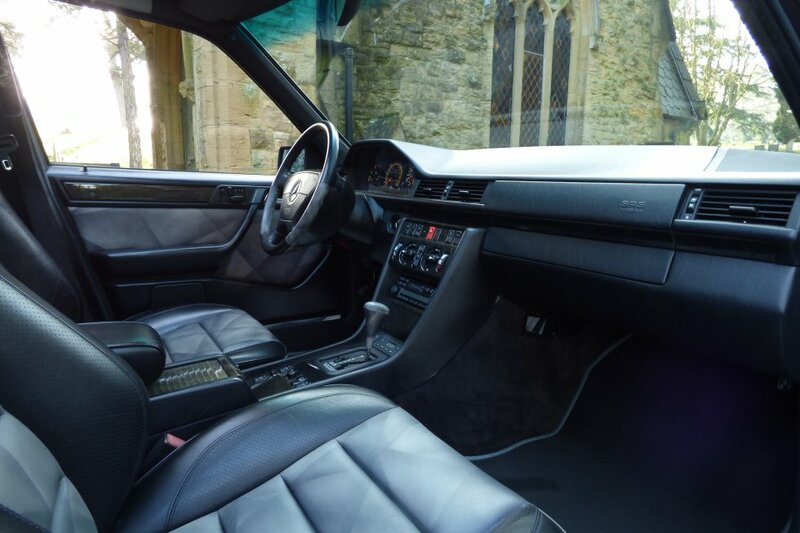 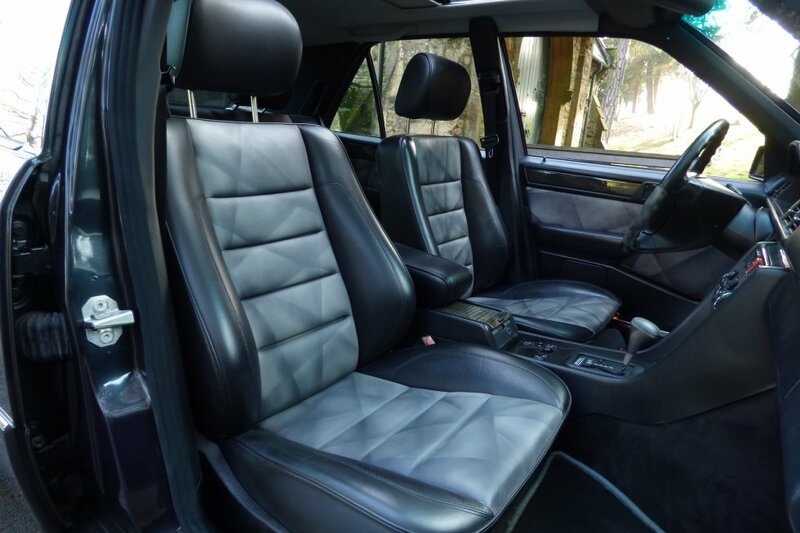 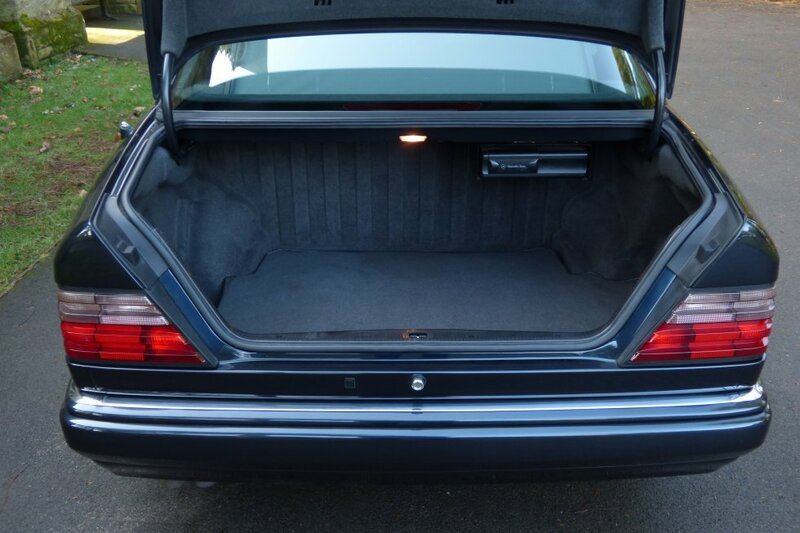 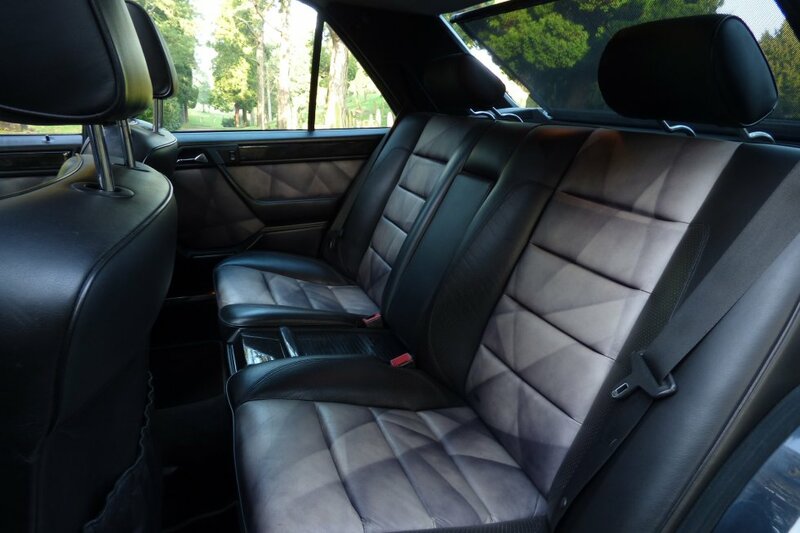 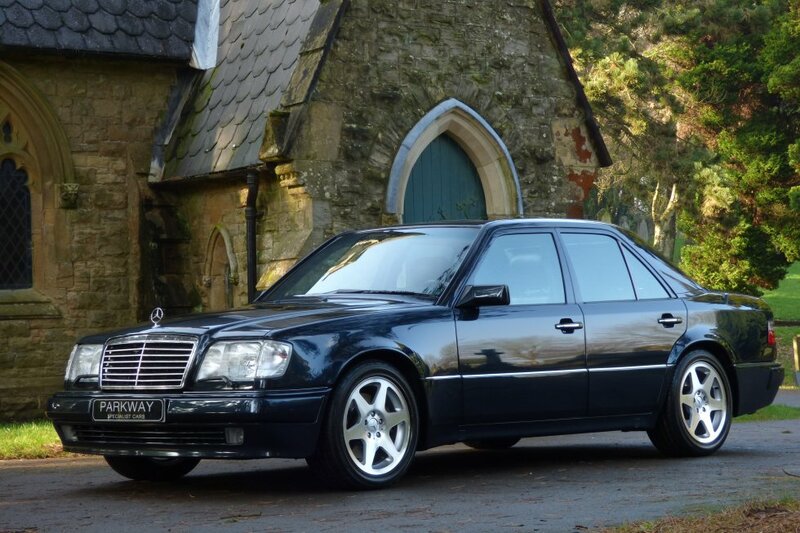 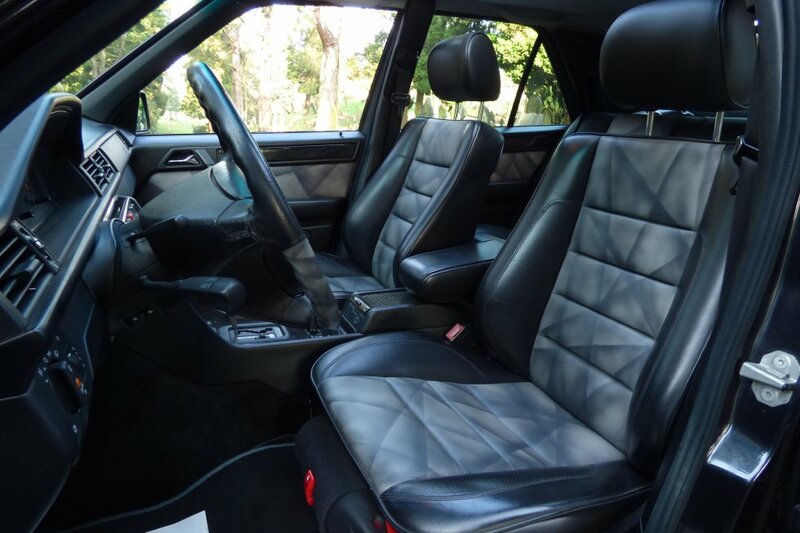 With The Limited Numbers Available, Mercedes Benz Wanted To Make The E500, Something Rather Unique And With The Multi Coloured Leather Trimmed Sport Seats Designed By Recaro For MB, This Was Definitely Achieved. 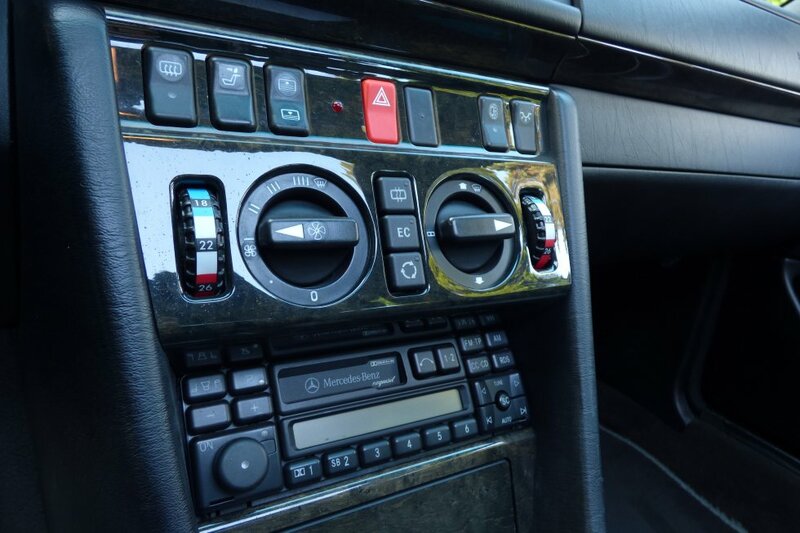 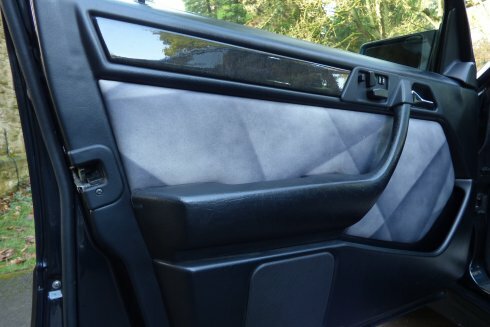 This Factory Finish Also Included Multi Colour Leather Door Cards And Steering Wheel, Which Was All Exquisitely Finished With Birds Eye Maple Internal Veneers. Boring Was Never An Option. 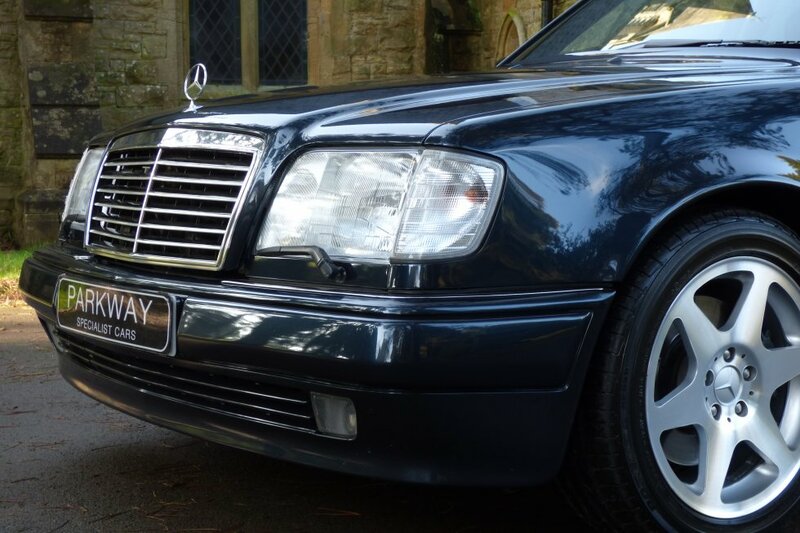 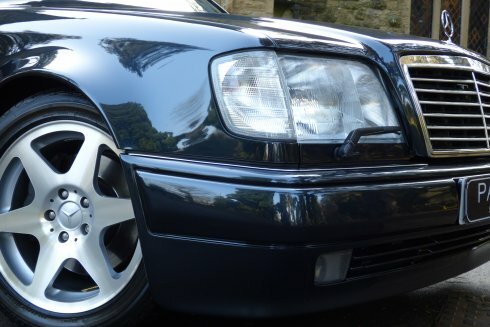 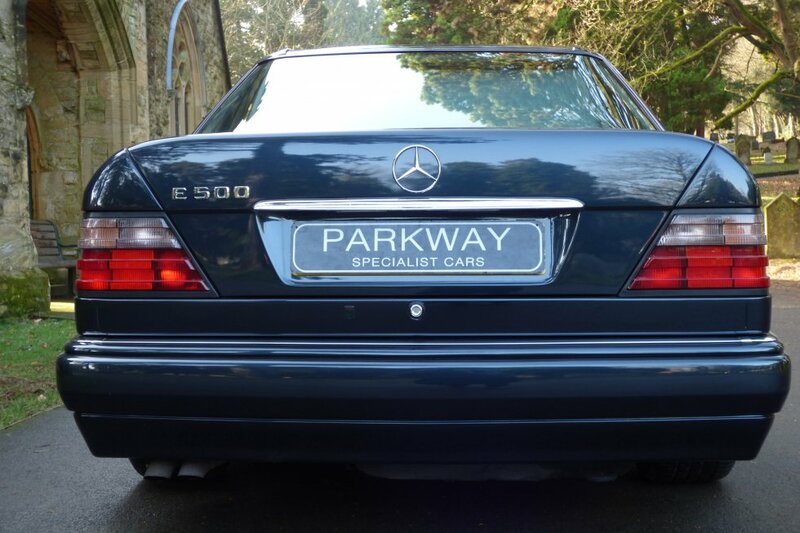 This Fallen Angel Is Presented In The Subtle Sapphire Black Mica Paint, Which Truly Shows Off The Widen Arch Lines And Face Lifted Painted Bumper Set Off Beautifully, With Further Distinctive Detailing To Include Cleared Head Light Covers And Of Course The Infamous E500 Rear Boot Lid Badge. 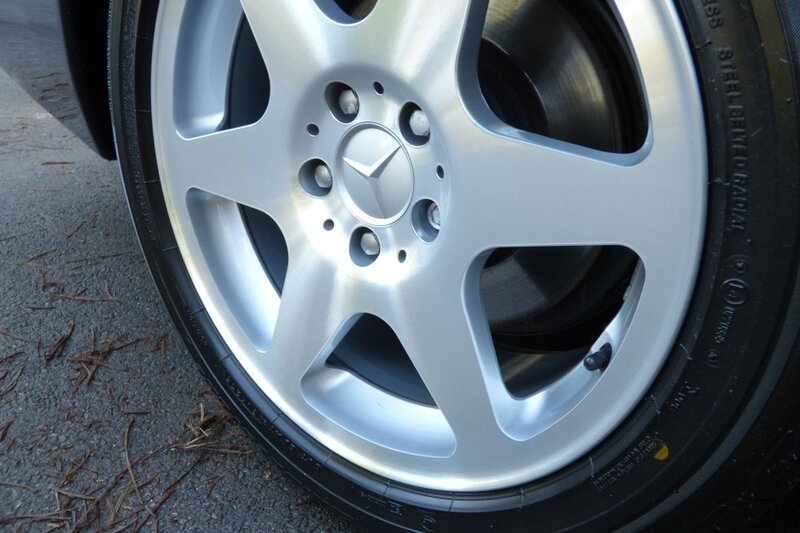 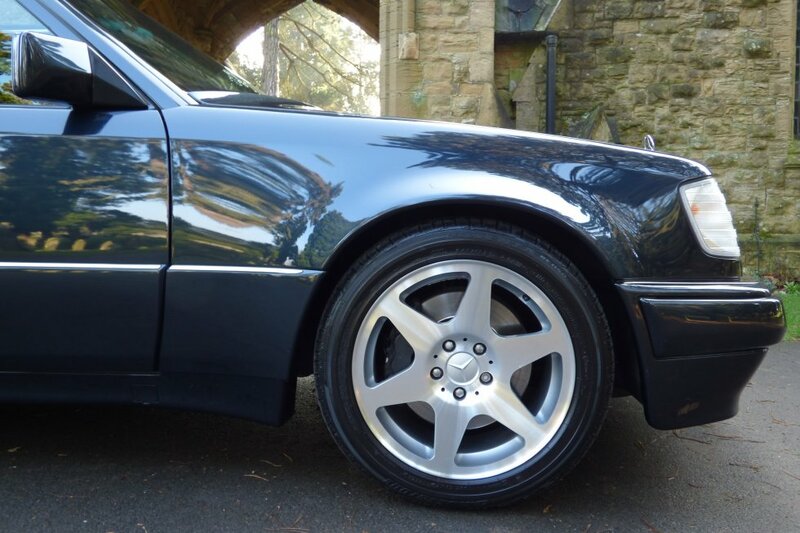 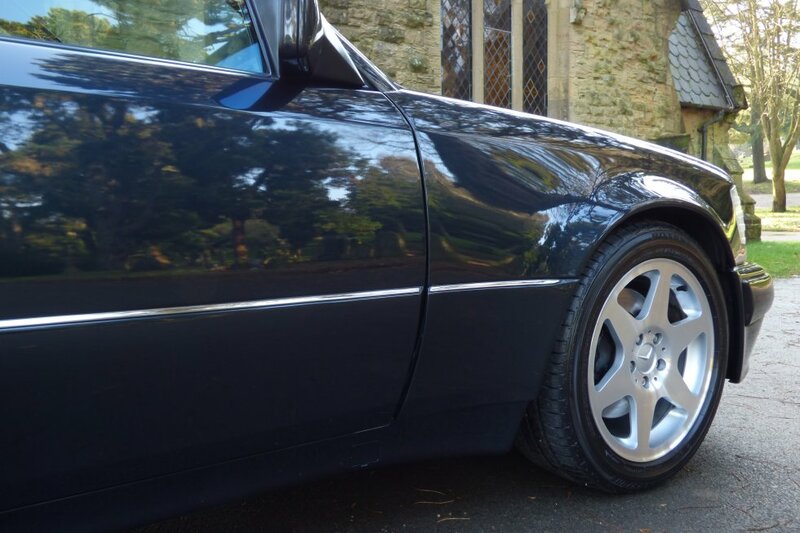 Further More The Wider Arches Are Filled With The Original Factory 7 Arm 17" Flat Alloy Wheels, Which Gives The Car An Aggressive And Imposing Stance To Other Unsuspected Road Users. 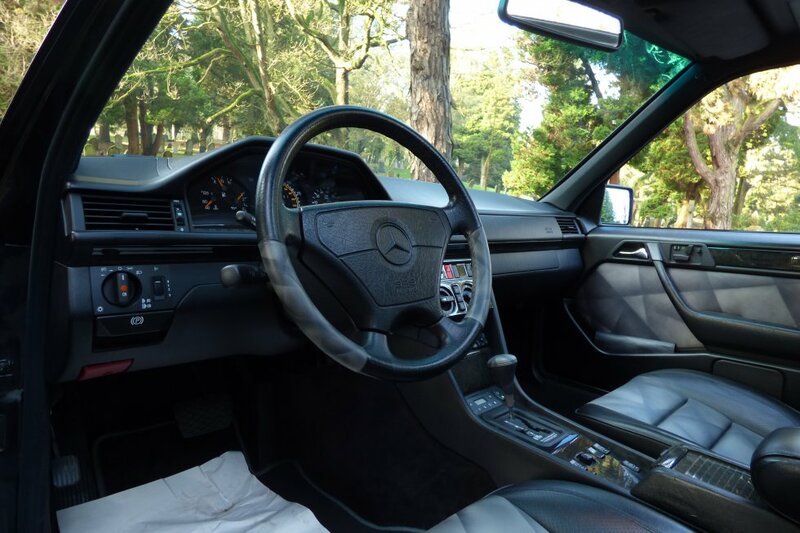 Looking At The Car Today, It Is Now Hard To Believe That Nearly 27 Years Have Passed Since The First Signing Between Mercedes Benz And Porsche, But These Cars Have Now Firmly Become The Ultimate Cult Classic. 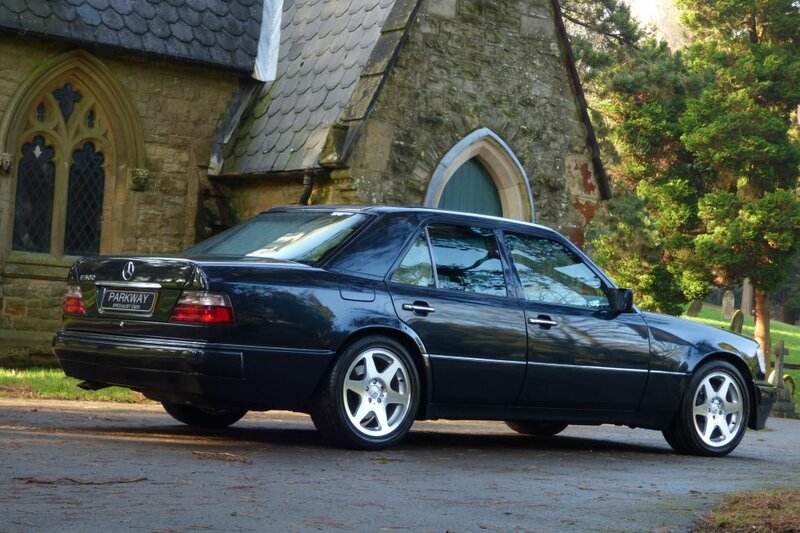 Imposing Brilliance At Its Best. Mercedes Benz Kept With The Traditional Luxury Refinements To Include Air Conditioning, Electric Metal Tilt Sunroof, Electric Memory Front Seating, Cruise Control, Four Spoke Two Tone Leather Bound Steering Wheel, 17" Flat 7 Arm Polished Alloy Wheels, Mercedes Benz/Dolby Exquisite Radio Cassette, Front Head Lamp Wiper Wash , Electric Rear Blind, Timed Variable Heated Seats, In Fact All The Lavish Refinements That A Nineties Lunatic Would Or Could Wish For. 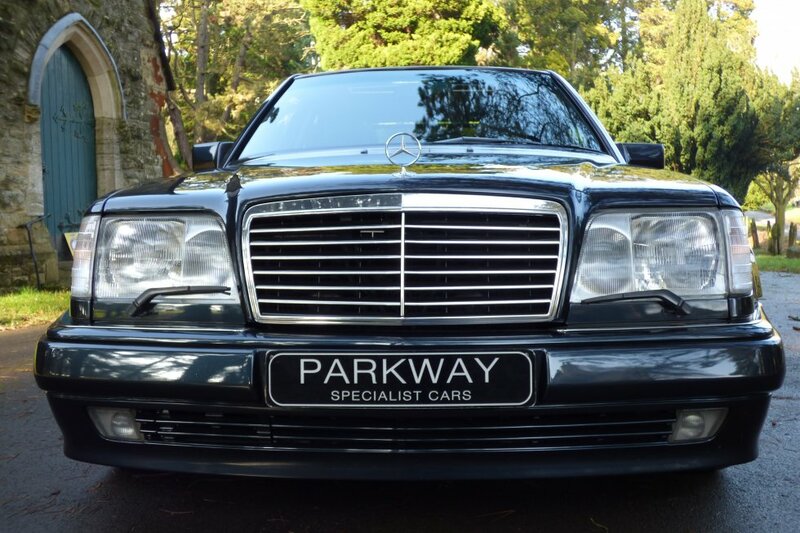 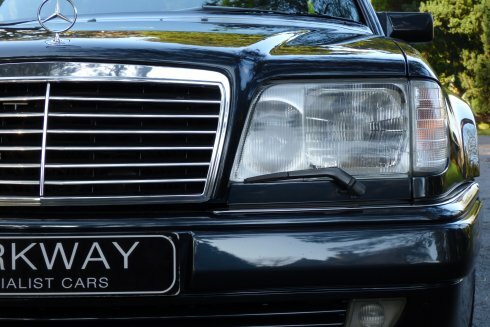 A Truly Amazing Opportunity To Acquire A Piece Of Magical Mercedes Benz Historical Past Glory. A Pure Stroke Of Genius, With The Rule Book Thrown Straight Out The Window.